The coagulation section analyses approximately 800 samples daily for patients requiring clotting screens or anticoagulation monitoring. Specialised investigations are also carried out for thrombotic disorders, like lupus anticoagulant, and thrombophilia screening, also for bleeding disorders like haemophilia and Von Willebrands disease. Investigations for platelet function are also available. Coagulation lead BMS Guylaine Hanford nee Jewitt ext. 33244 or 33245. Anticoagulant therapy is generally controlled by the patient’s General Practitioner. A haemostasis clinic is run by Dr. Nokes and Dr Thomas, which can accommodate other referrals for specific problems. To make an appointment or seek advice contact Dr. Nokes’ or Dr Thomas’ secretary at Derriford Hospital – Tel Ext: 32595, 30126. There is also a near patient testing facility for INRs within the DVT clinic, for those with very poor venous access. Requests for details about these should be directed to Dr Nokes. Tel Ext: 31001 . It is imperative that patients admitted to hospital whilst taking warfarin, or those who are commenced on warfarin whilst an in-patient, should have a stable INR prior to discharge. Also, the GP fax-back sheet should be sent to GP practices on discharge of patients. This will inform GPs of: any changes in warfarin dose, concomitant medication, most recent INR (including INR range) and when next test is required. Initiation of warfarin anticoagulation should be according to the nomogram in the BSH anticoagulation guidelines. Non-urgent introduction of anticoagulation (eg for patients in AF in the community) may be organized by giving low dose warfarin (3-5mg) and checking INR after first 3-5 doses. When using the DOAC anticoagulants, baseline FBC, clotting screen, U&E and LFT should be done before starting. A facility exists to measure levels when required. Guidelines on anticoagulants were published in the British Journal of Haematology 1998; 101: 374-387 and updated in 2005 (British Journal of Haematology 2005; 132: 277-285). The target INR should be a single figure. If the INR is within 0.5 of the target, generally, no dose change should be made. There are many drug interactions with warfarin, details of which can be found in the British National Formulary. It is probably safest to assume that all drugs interact with warfarin and to organise a repeat INR within 3-5 days of any drug change. Target INRs for various indications are listed below. Indications for anticoagulation, target INR, duration of treatment with VKA. INR 2.5, 6-12 weeks, if the risk factor ceases to exist. Reassess patient with regard to recovery and to additional event, eg. surgery, trauma or pregnancy. Watch for other predisposing factors before stopping treatment. INR 2.5 (2.0-3.0): May require long-term anticoagulation. Needs referral to haematology Consultant (Dr Nokes/ Thomas) to make decision at 3 months of O.A.T. Risk of recurrent VTE highest in first 6 weeks of treatment. Risk of bleeding is highest in first month. INR 2.5 (2.0-3.0), 3 months. Some doctors do not treat asymptomatic calf DVT but patient should be monitored very carefully in this case. Symptomatic calf DVT has < 25% risk of extension and PE if untreated. eg active cancer, spontaneous proximal DVT or PE, or considerable immobility, consider long-term O.A.T. or specialist referral. INR 3.5 (3.0-4.0). Consider long-term or specialist referral. INR 2.5 (2.0-3.0) Consider long-term anticoagulation. Consider specialist referral. INR 2.5 (2.0-3.0), Consider long-term anticoagulation. INR 2.5 (2.0-3.0), Consider long-term anticoagulation. See notes on AF below. INR 2.5 (2.0-3.0) For 3 weeks before and 4 weeks after cardioversion. Intensity depends on the valve type and position. Aortic: 2.5 (2.0-3.0), Mitral: 3.5 (3.0-4.0) Long-term. Risk of thrombosis is greater for valves in mitral position than for aortic. Caged valves confer the greatest risk for thrombosis and always require a target INR of 3.5 (3.0-4.0). INR 2.5 (2.0-3.0), Long-term. High risk of stroke even if no AF. INR 2.5 (2.0-3.0), 3 months if after MI. Serious consideration should be given to the use of Low Molecular Weight Heparin in patients with cancer who experience a venous thrombotic event for 6 months, initially. There is evidence that Warfarin is inferior to LMWH in treatment of VTE in patients with cancer. Some consideration for use of DOAC in those who are needle phobic. unless patient has atrial fibrillation or a potential cardiac source of embolism (see ‘contraindications’ below). Consider aspirin or Clopidogrel as secondary prophylaxis. Atrial fibrillation: Low risk patients (CHADS2 VASC <1, under 65, no diabetes, no stroke or TIA, no hypertension or other antiplatelet agent e.g clopidogrel, normal LV function) Treat with aspirin alone. Peripheral arterial thrombosis and grafts: Consider aspirin or clopidogrel as secondary prophylaxis. Coronary artery graft thrombosis: Consider aspirin and/or clopidogrel as secondary prophylaxis. Incidence of vein graft occlusion in first month is 10-20% - this is reduced by aspirin but not warfarin. Coronary angioplasty and coronary stents: Consider aspirin and clopidogrel as first-line therapy for drug-eluting stents. Raised INR guidance: Reference 1. British Journal of Haematology 1998, 101 374-387. Reference2. British Journal of Haematology 2000, 109 704-715. There are five direct-acting oral anticoagulants, recently licenced and NICE approved. One of these, Dabigatran, is an anti-thrombin. The other four (Riraroxaban, Apixaban, Edoxaban and Betrixaban) are anti-Xa drugs. They have variable renal clearance (ranging from 70% for Dabigatran to 25% for Apixaban). For that reason, it is imperative that renal function is measured before starting the drugs and at varying times during their use. Dabigatran should not be used with EGFR < 30ml/min or <15 ml/min for the anti - Xa drugs. Because of their more predictable pharmacokinetics, generally the DOACs do not require monitoring. However, in some clinical situations e.g requiring urgent surgery or at extremes of weight, they may. The dilute thrombin time measures Dabigatran and anti- Xa levels (using specific standards) measures the anti- Xa drugs. Women who become pregnant whilst on warfarin will need to be transferred to low molecular weight heparin (LMWH) immediately – as warfarin is teratrogenic in 4% of pregnancies during 1st trimester (6-12 weeks). Similarly, if using a DOAC, this should be discontinued and switched to LMWH. In general, initial anticoagulation is using LMWH (either for prophylaxis, or weight adjusted dose for treatment, recently changed to once daily) depending on indication, by subcutaneous injection. Patients are supervised by the Maternity Day Assessment Ward and anti- Xa levels are checked approximately monthly to ensure therapeutic compliance. This service can be initiated through Dr. Yin Thi, Dr Nokes or Dr Thomas – Tel Ext: 32729; 31001; 33117 or by bleep through hospital switchboard. If there is clinical suspicion of a DVT or PE then a D-Dimer sample should be sent to the laboratory according to DVT management pathway. D-Dimer is an extremely sensitive test with a negative predictive value for DVT/PE in excess of 96%, (<0.5 being the cut off value). This should be used together with a clinical prediction score e.g. ‘Wells’. If low Wells score and negative D-Dimer, the patient can be discharged. Remember to check clotting screen, platelet count, urea & electrolytes, and LFT at baseline before commencing any anticoagulants. Use of the nurse-led DVT pathway (ext 31978) should be encouraged for probable DVT. Generally, inherited thrombophilia does not increase the risk for recurrent venous thrombosis, therefore should not be requested following an event unless there is a strong family history in those less than 40 years . Also, thrombophilia testing should not be requested following an acute VTE event as it will be difficult to interpret the results. Also, the result will not influence the intensity or duration of anticoagulation. Inherited thrombophilia does not influence the risk of arterial thrombosis. In young patients (age <50 years) samples for Lupus anticoagulation or Anticardiolipin antibodies may be considered. Thrombophilia samples should not be taken when patients are on anticoagulation, oral contraception, HRT or when pregnant, for similar reasons. Inherited thrombophilia in absence of thrombosis: give prophylaxis in high risk situations. Prophylaxis should be considered in pregnancy even in the absence of previous thrombosis because of high risk situations such as 1st degree family members. Decisions regarding the need to perform thrombophilia testing should always be vetted by a senior Haematologist – preferably Dr. Nokes or Dr Thomas. INR monitoring is an integral part of care for the VKA anticoagulated patient with vitamin K antagonists (e.g. warfarin) and must be performed according to set criteria. Historically, this has involved taking intravenous (IV) blood samples and performing an INR using hospital-based Coagulation machines. 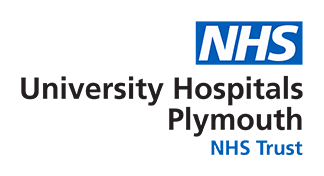 Locally, the GP’s manage oral anticoagulation control according to shared-care guidelines originating from Derriford Hospital. Inevitably, there will be difficulties in obtaining IV samples in some, along with geographic, work and social reasons together with increasing paediatric numbers. Clearly, POCT for control of Warfarin will become more necessary. The Royal College of Pathology (RCPath) guidance in this respect stipulates that laboratories should take the lead regarding all POCT hence the need for this guideline. Documented acquaintance with Standard Operating Procedure (SOP). Patient is responsible for testing their INR at home using capillary blood sampling and a POCT device. Dosing of Warfarin and frequency of testing advised by Health-care Professional clinically responsible for their management. Internal Quality Control (IQC), external Quality Assurance (EQA) and general maintenance of the NPT device can be the responsibility of either the patient or the Health-care Professional when used in a clinical setting. Agreed by responsible Clinician on an individual basis but should be at least six monthly. INR test performed on specific weekday and time agreed with Healthcare professional responsible, to allow easy access for advice as necessary. All contacts, including telephone calls, should be documented in patient notes or specified anticoagulation sheets. The frequency of IQC performance is defined in the relevant SOP. This test must also be applied with every new box of test strips, each new batch of test strips, any unusual result obtained or unusual occurrence which may affect result e.g. dropping the device. The INR result from the POCT system should be compared to an IV sample INR whenever the INR is >4.0 or <2.0. Every 10th INR result from the POCT device should be tested in duplicate with the laboratory method from IV sample. Participation in formal EQA scheme (NEQAS) is required for those POCT machines held in the Hospital and GP practices. Patients are encouraged to apply for inclusion in the scheme. Details obtained from the Haemostasis laboratory (ext.52388 Derriford). NB It is the responsibility of users (healthcare professional) to carefully document results of EQA and IQC. Advice should be sought either from the lab if the problem is apparent in the community. For community-based POCT devices, it is the responsibility of the GP practice to order supplies of equipment directly from the manufacturer. Agreement from local CCG needed. Test strips and IQC samples should be refrigerated (2-8 degrees Centigrade). Healthcare professionals should dispose of needles safely in appropriate container and other contaminated material wrapped up carefully and placed in usual waste bin. Sharps boxes should be used and disposed of in an approved manner.